Two hours from the queues at Stansted Airport, I was transported to a world of snowy peaks and bubbling springs. Slovenians are very proud of their pristine water and quite rightly so; a drink scooped from local rivers in the Julian Alps is deemed much cleaner than the bottled variety. Unfortunately, the same can’t be said for my beloved London. 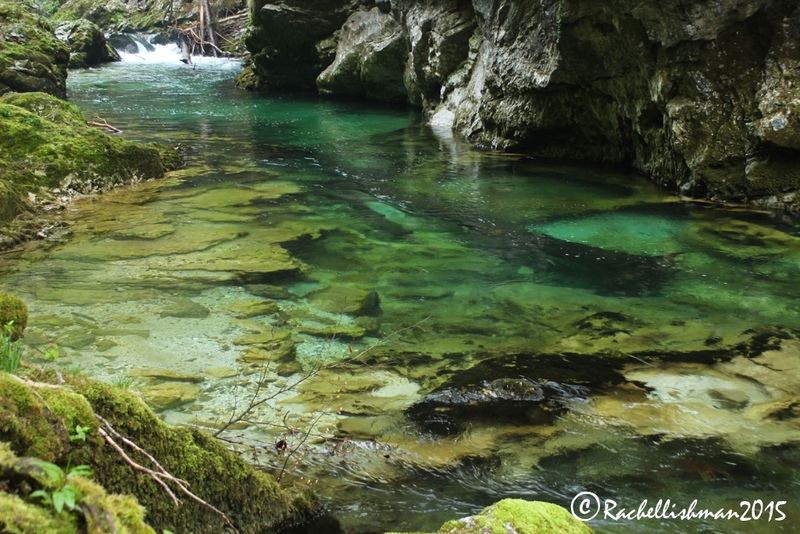 Vintgar Gorge was ten minutes from Bled and provided an impressive first foray into Slovenia’s landscape. First explored in 1891, boardwalks were built to attract visitors only a few years later and my path still followed the ravine tightly. Towering limestone walls dropped into a series of translucent green pools that weaved steadily downwards in a series of waterfalls. Occasionally, the path skirted thick woodland where dew-dropped wildflowers bobbed at head height. As the gorge suddenly widened, I turned right over a bridge I was rewarded, after a short uphill, with an expansive view of a wide valley that opened up towards the sheer faces of surrounding mountains. The following day I visited Triglav. Translated roughly as ‘three headed’, Triglav is the name of the country’s highest peak and the National Park that holds it. This summit means a great deal to Slovenians and is incorporated into the country’s flag. It’s so important in fact, that scaling its heights becomes a rite of passage for every young citizen. My guide Tim even joked that people aren’t issued a passport until they can prove their worth on the mountain! As I found out, scaling these peaks can be tricky: mountains made entirely of limestone can be prone to shift, break and slough away underfoot. Add to that the changeable weather and ice that lingers well into June, and there’s a challenge afoot. The clear waters of Vintgar Gorge have been attracting tourists since the 1800s – go in the early morning to escape the crowds! During my ascent of Vrsic, Slovenia’s highest drivable mountain pass at over 1100 metres, the weather proved the main issue. Mountain mist encircled my final steps to the summit, as a soggy drizzle cooled me to what felt like freezing point. On a sunny day, I was told, the view from that precipice stretched almost as far as the Adriatic. However, I had to be content with the idea that I was elevated enough to be inside a cloud, and that conditions had once been much worse. The area’s natural beauty disguised a sombre history of front line conflict. The long-time border with northern Italy to the west was one of the most fought territories of the world wars. During World War I, Tim explained, more than 200,000 men perished on just one peak*. In 2015, the serene beauty of the place seemed only to emphasise the tragedies that took place there. To the untrained eye, the only remnants of this time are abandoned supply stations or the mossy beginnings of a dank tunnel on the forest floor. 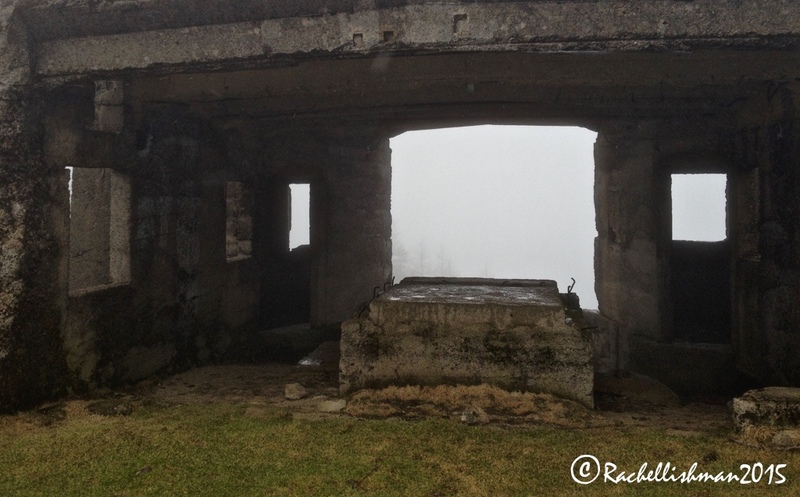 The dreary concrete of an old ammunition station stood lonely in the swirling wet. It was difficult to imagine young men being posted in this remote spot. Through rain, wind and snow, soldiers carried heavy loads up the slopes, all the while wary for their lives. At some points, enemy trenches were only a few meters away. 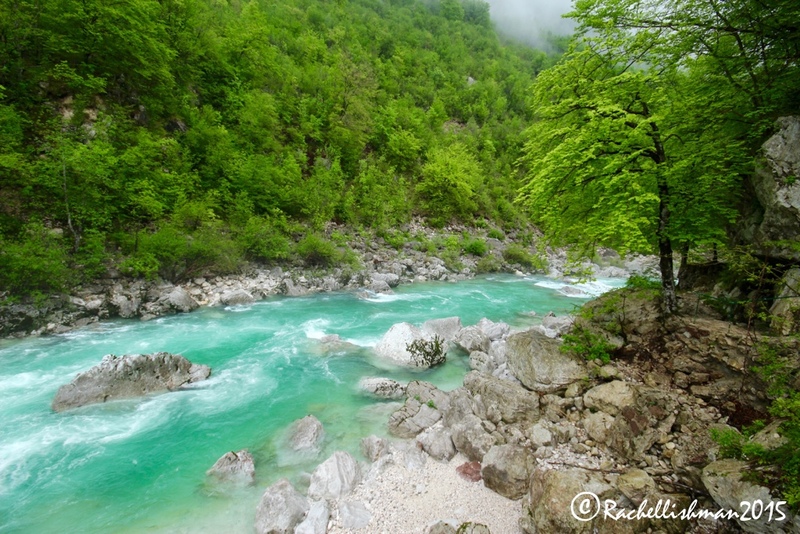 Slovenia has more than fifty rivers. Later that day in the Trenta valley, as the mist finally lifted, I saw the much-debated source of the celebrated Soca as it tumbled over the boulders above me. Though Tim admitted that the finite start of this Emerald River has never been tracked and experts believe it bubbles from deep within the centre of the mountain. 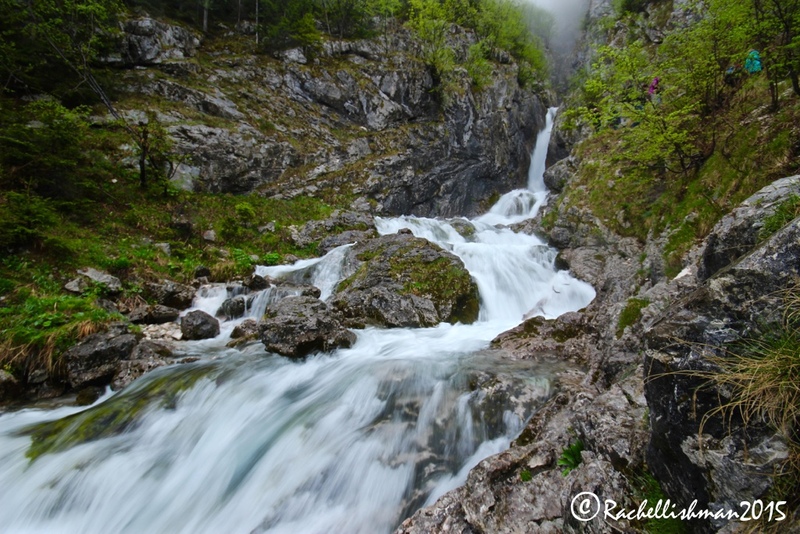 After a warming lunch of potato dumplings with wild boar ragout in Bovec village, we drove further south and the raucous waterfalls turned to wide, steaming river. The Soca’s colours changed with each bend and by the time I arrived at one of its widest reaches, it shimmered a stunning turquoise. Like most of my Slovenia experience, it was welcome to all: Kayakers hauled their boats overhead and helmet-clad rafters provided fleeting dashes of yellow and red against the vivid water. If rumour’s to be believed there’s only one village in Slovenia that doesn’t have a church. Tim told me that this was due to an ancient ruler’s decree that no farmers should walk more than a mile to worship. Indeed, my days were constantly punctuated with bells that never tolled the same melody twice. On a sunny afternoon when (for reasons relating to the afore-mentioned schnapps and those pesky fun-loving locals) I didn’t fancy extreme sports, I explored the post-card-perfect offering of The Church of Mary’s Assumption. 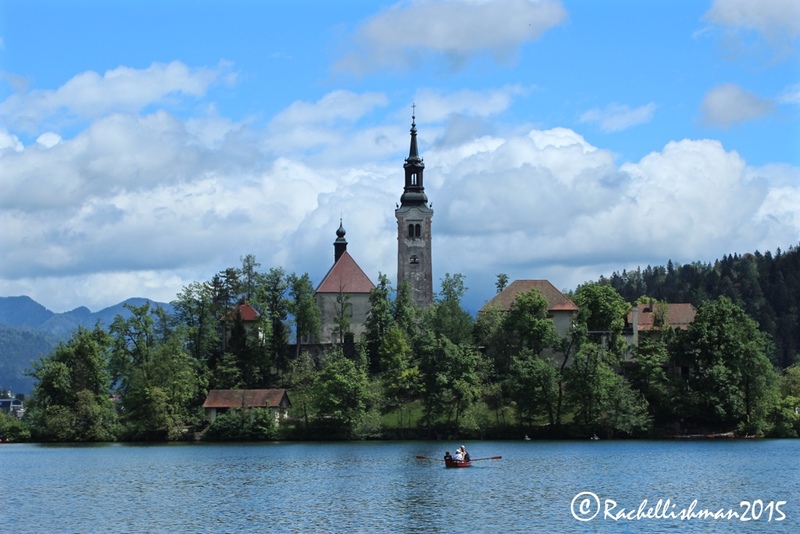 Arguably the view most synonymous with Slovenian tourism, the modest building sits on a tiny isle in Bled Lake. Local tradition dictates that men carry their bride up all ninety-nine stone steps leading to the church in order to marry, but I was content to meander for a different view of Bled Castle. My post-schnapps weariness may be to blame, but for me the modern visit fell somewhat short of an enlightening pilgrimage. Still, even the hardest hangover couldn’t detract from the beauty of Slovenia’s only island. This land of waterfalls, wildflowers and verdant wilderness certainly makes for a cracking picture. *Tim, my guide for the day from 3GlavAdventures gave me the figure of 200,000 soldier deaths and despite reading around the subject I can’t confirm whether this is accurate. There are however many mentions of the battles in this area throughout WWI (mostly centred either side of the Soca) I’ve also found many references to the Vrsic pass road, which was built by Russian prisoners of war and is today commemorated by a Russian chapel built half-way up the mountain. 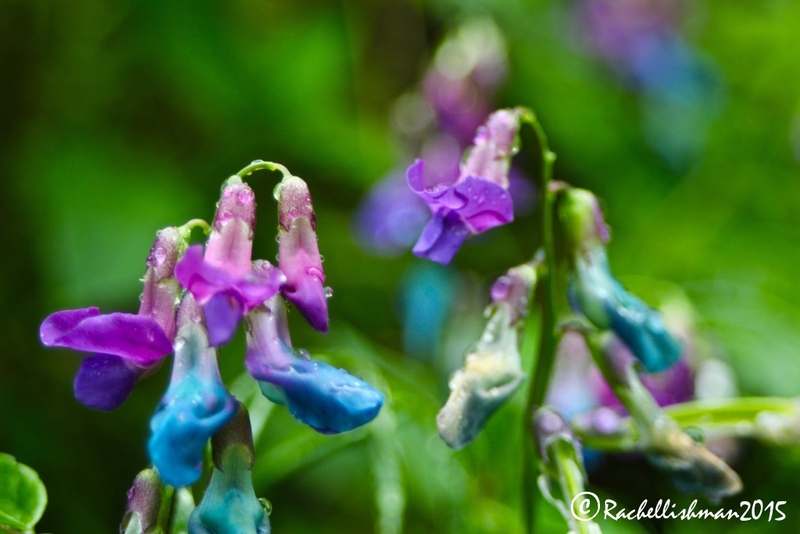 Absolutely stunning pictures and narration of this ” verdant wilderness of wildflowers and waterfalls”, Rachel. Hard to imagine this pristine area a battle location. Such glorious photos Rachel. I have friends who visited Slovenia and fell in love with it. It’s a country I would immediately revisit – and that doesn’t happen often as I’m usually searching for the ‘next new adventure’! The people are all so welcoming too – the warmest welcome I can remember getting anywhere I’ve travelled! Beautiful images and introduction to Slovenia 🙂 Thank you for sharing your inspiring travel, Rachel! I remember Vintgar Gorge so clearly, just like in your pictures :). Super-impressive how the Slovenes have kept their environment so pristine, something we should be learning from, around the world. I completely agree – they seem to organise everything perfectly – from bin collections to sustainable farming. A wonderful country, and still, technically so young!